LINCOLNSHIRE, Ill.--(BUSINESS WIRE)--Zebra Technologies Corporation (NASDAQ: ZBRA), an innovator at the edge of the enterprise with solutions and partners that enable businesses to gain a performance edge, today announced Walgreens, one of the nation’s largest drugstore chains, is using Zebra enterprise-class handheld mobile computers and tablets to help enhance store operations and transform the shopping experience for customers. Walgreens has selected Zebra’s ET50 tablet and TC51 mobile computer for use in all its stores across the U.S. It will showcase some of its inventory management and store operations solutions at Zebra’s booth (#2101) at the National Retail Federation (NRF) Annual Convention & EXPO on Jan. 13-15, 2019 in New York City. According to Zebra’s 11th annual Global Shopper Study, 55 percent of surveyed shoppers and 74 percent of retail store associates believe store associates equipped with the latest technology improve the overall shopping experience. Walgreens’ assisted selling and inventory management applications running on Zebra enterprise-class mobile computers boost productivity and improve the customer experience while connecting its associates and customers nationwide. With Zebra’s Android™ based TC51 mobile computer and ET50 tablet, Walgreens’ team members have the information they need at their fingertips, allowing them to quickly and accurately assist shoppers and complete daily tasks. Zebra’s mobile computers and tablets make it easier for team members to check planograms, look up product information, or set up an order for home or direct-to-store with a few simple clicks – freeing up time to help more customers. 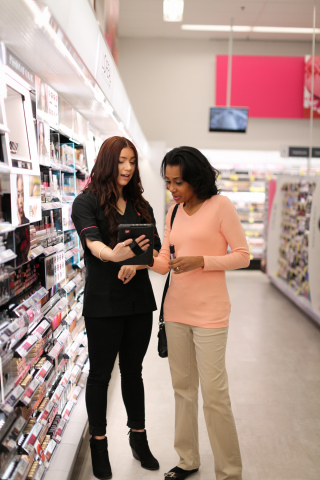 Zebra’s TC51 handheld mobile computer and ET50 tablet help Walgreens improve productivity and enhance the customer and store associate experience. Zebra’s mobile computing solutions provide Walgreens’ associates with access to real-time information to optimize store operations and quickly assist shoppers without leaving the sales floor. Walgreens will demonstrate several in-store solutions running on Zebra’s mobile computers at NRF 2019 in Booth #2101. Zebra Technologies today announced that Walgreens is using its mobile computers and tablets to enhance store operations and the customer experience.